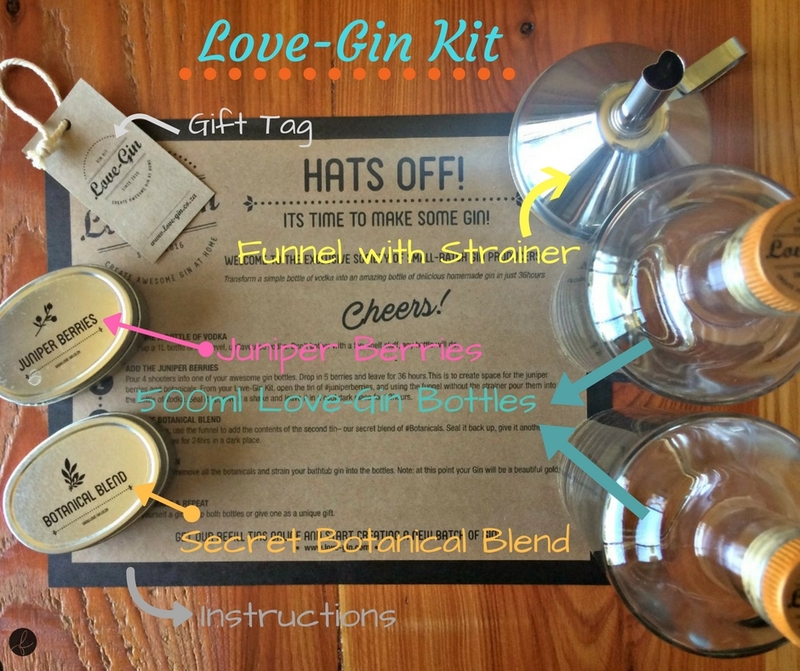 Christmas came early this year in the form of a gin making kit from Love-Gin. I decided to be naughty and open my gift and make the gin before Christmas, all good intentions I promise. Sharing this kit with you means that you get to get your hands on one as soon as possible, it’s not too late! *All you need is a 1L bottle of unflavoured vodka. Commercial gin is made by extracting flavours from the chosen botanicals through distillation. 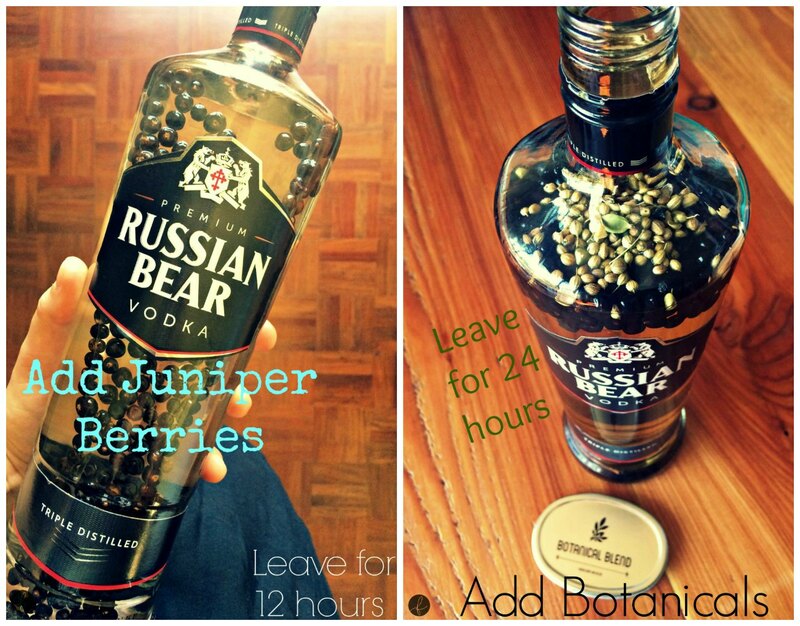 Another way of making gin is by soaking juniper berries and botanicals in a base spirit such as vodka. This type of gin is know as ‘bathtub gin’. The instructions are easy to follow and it only took me 36 hours from start to end. 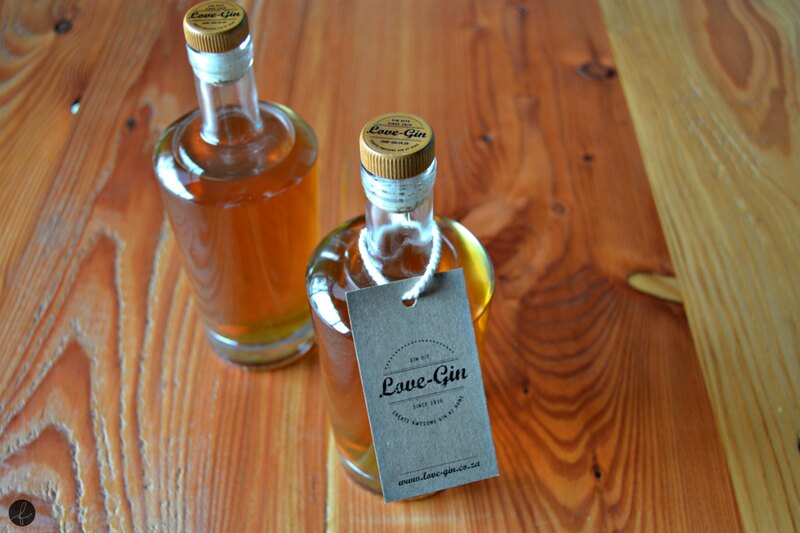 The two provided glass bottles are beautiful and would make the perfect gift for loved ones.